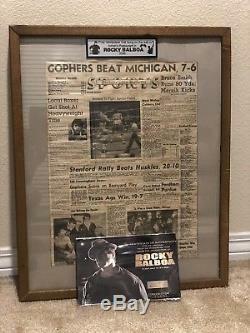 Original prop news paper from Rocky Balboa (2006) with COA from Revolution Studios who auctioned off all of the wardrobes/props at the conclusion of production via VIP auctions. 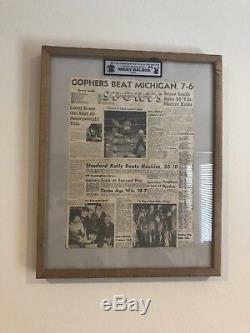 Newspaper came from the studio framed as it was displayed on the wall inside Adrians. 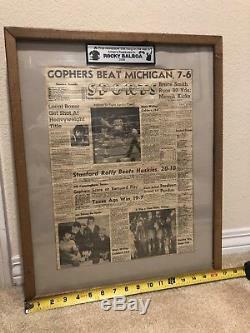 Great images and headlines on this paper. 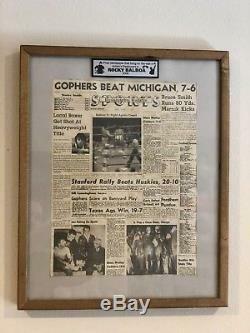 This newspaper hung in Adrians restaurant and can be seen on the wall in the photo provided. The name plate was put on by the previous owner, but can be easily removed from the glass. 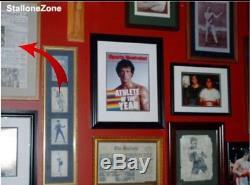 I have an extensive Rocky and Stallone collection which is well documented online. 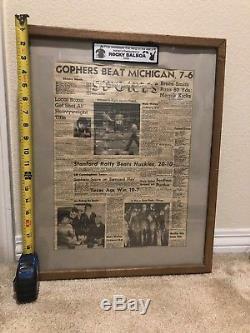 The item "Rocky Balboa Movie Prop News Paper as seen in Adrians Restaurant Stallone Creed" is in sale since Monday, December 10, 2018. This item is in the category "Entertainment Memorabilia\Movie Memorabilia\Props\Originals". 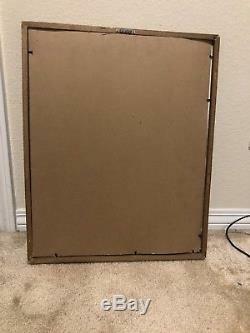 The seller is "ryandiez" and is located in Valencia, California.